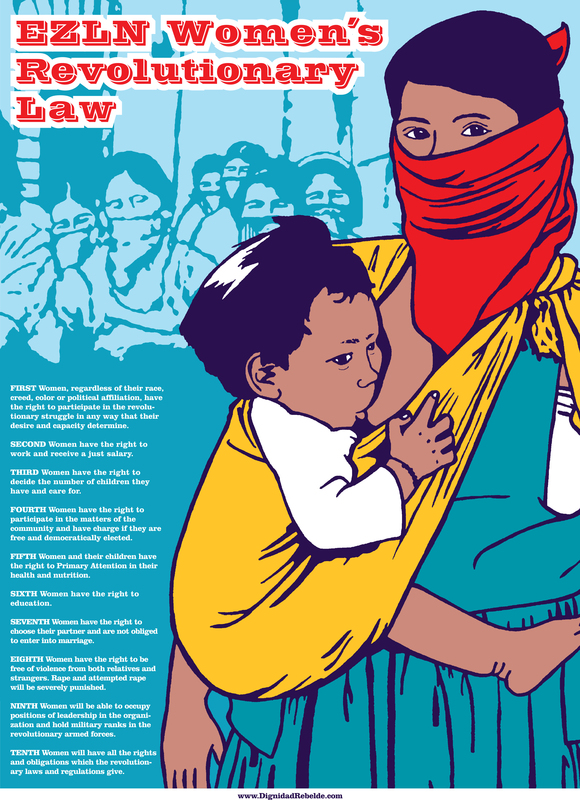 The first collaborative design by Dignidad Rebelde’s Melanie Cervantes and Jesus Barraza,this poster was created to celebrate Zapatista Women and the EZLN Women’s Revolutionary Law. Originally a handmade limited edition screen print we have created this digital version at an affordable price so that moe people can have a copy. In the just fight for the liberation of our people, the EZLN incorporates women into the revolutionary struggle, regardless of their race, creed, color or political affiliation, requiring only that they share the demands of the exploited people and that they commit to the laws and regulations of the revolution. In addition, taking into account the situation of the woman worker in Mexico, the revolution supports their just demands for equality and justice in the following Women’s Revolutionary Law. Sixth: Women have the right to an education.